If you’re looking for a portable yet sturdy banner option, SpeedPro has the solution for you! Our retractable banners are versatile and durable, perfect for keeping your office, lobby or corporate event professional and engaging. Contact our studio in Houston if you’re looking for an opportunity to brand your business in a fashionable way. We’ll customize to your needs and bring your office space to life. When you contact SpeedPro, we’ll schedule a consultation during which we can discuss all your requests and proposed modifications. Let us know the area you need to fill and the width and height dimensions of your banner. 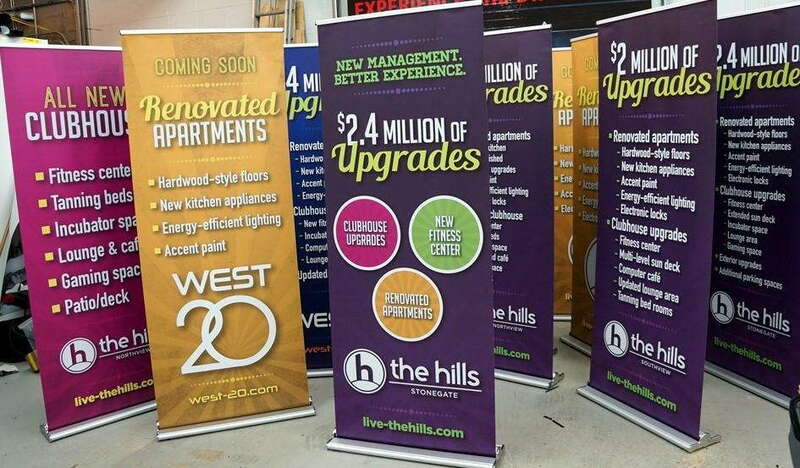 We’ll customize a retractable banner for your business and pair it with a stand that collapses and installs with little effort. Depending on your available space, we can provide one retractable banner or multiple stands to create a powerful effect. 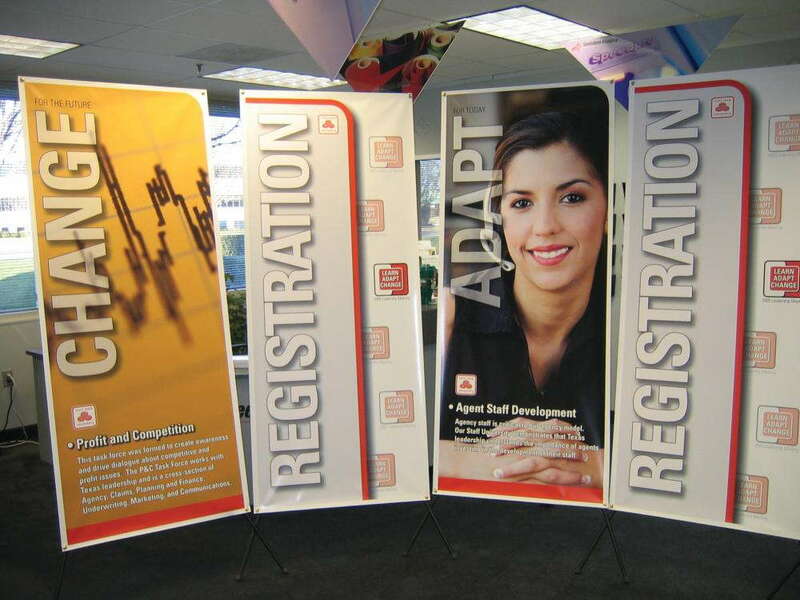 If you’re at a corporate event or trade show, for example, you may want a few retractable banner stands. One could display information about your company while another details a featured product or service you provide. You could bookend your display with one on each side or combine them to paint a picture. If you’re in a mall, you could create a scavenger hunt with your stands. In a common central area, you could place a stand to invite people into your store or location, letting them know where to go to find you. Then, outside of your entrance, you could have another banner that gives direct information about what you’re selling or a special you have going on. 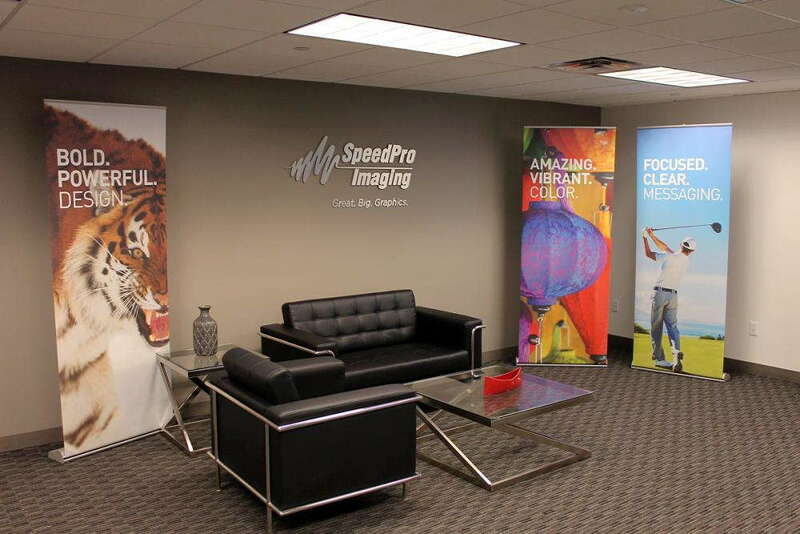 At SpeedPro Imaging North Houston, we offer a range of different retractable banner stands for your needs. The more durable and full of features a stand has, the better reach it will have. For example, some retractable banner stands can sit and collapse on top of a table, whereas others can extend up to 10 feet to create a large impression. If you’re looking at particular specifications, remember that SpeedPro offers two big names: Ultraflex and Decolit. Ultraflex will allow for printing on both sides of the screen, which is perfect for viewing at any angle. Decolit is made with more fabric than vinyl material. Both options also have a “blackout” feature in which a layer of material is placed within the banner to block extra light from shining through. This feature makes Ultraflex a great option to play with because even if you use the double-sided feature outdoors, you’ll still be able to read the banner clearly in the direct sunlight. Retractable banner stands are great products for all of your advertising needs. Whether you’re in a building or outside an event, these banners grab attention and display necessary information, all while supporting your brand. Contact us today to set up a consultation for your next branding project!